Starting today, Amazon Prime members in the US can invite up to five people to share Prime Photos benefits, at no extra cost. These benefits include unlimited photo storage, plus 5GB for videos and other files. Doing so will result in everyone sharing what Amazon is calling the “Family Vault,” a safe place for all of your memories and moments to be saved. Once invited, family members can add their favorite photos or videos individually to the Family Vault, or choose to have photos uploaded automatically. Access to the Family Vault can be done through the desktop version of Prime Photos or the Android app. 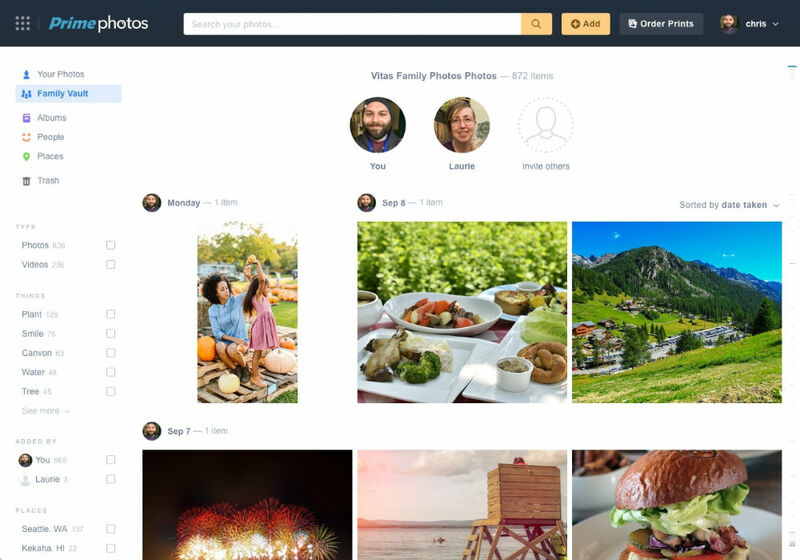 On top of Family Vault, Amazon is also introducing “Smart Search” technology for Prime Photos users. This feature makes finding photos based on people, places, or things much easier. For example, users can perform a search with keywords, such as “wedding” or “sunset,” then be given the results. This is similar to what you would find inside of Google Photos. Lastly, users can now order photo books, cards, as well as prints directly from your Prime Photos account. Amazon Print products start as low as nine cents a print, and there’s free delivery for Prime members. For more detailed information on getting physical memories from your digital files, look here. All of the aforementioned features are available starting right now.